I directed that question to my wife, Jenn, as we stood on the floor of the New England Auto Show. 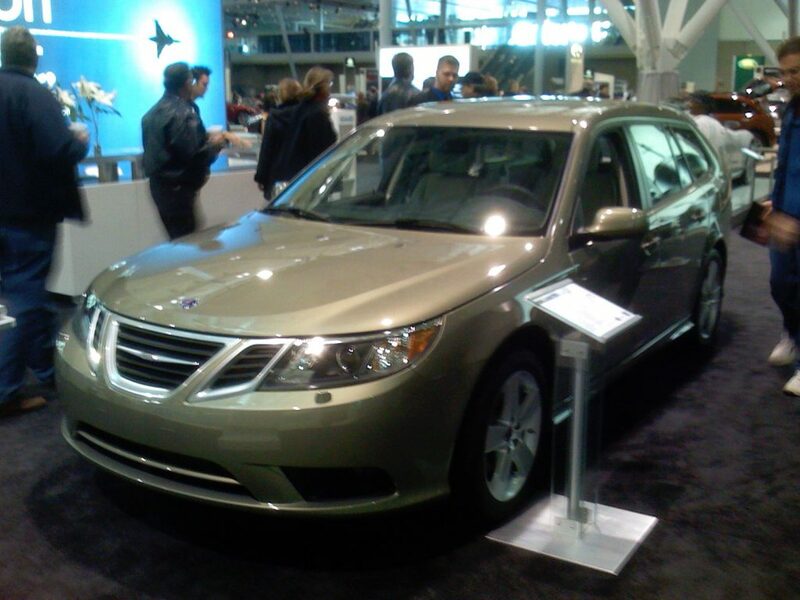 It was a cold, dreary day, but I had been looking forward to the debut of the new 2008 Saab SportCombi Aero XWD, and there it was, gleaming under the lights of the Boston Exhibition Center. “It’s a wagon,” lamented Jenn. As we walked around the car, I took pictures of it from various angles using my iPhone. When we looked at the sticker price, our hearts sank. I walked away, dejectedly. But just a few months later, Saab went out of business, and we purchased that car for almost half price. And little did I know, that that car, and the iPhone I used to photograph it, would someday play a part in the most terrifying night of my life. It happened in January, 2016. Back then, I would drop my dogs off at daycare on my way to work, and Jenn would pick them up on her way home. Since I would arrive home first, I’d use my iPhone’s ‘Find my iPhone‘ feature to track Jenn’s journey. And once I knew her Subaru Outback had turned onto our street, I’d run outside, meet her, and help take the dogs inside. Well, one night, with the temperature hovering around 32 degrees, and the sky black as coal, I stepped outside to wait and checked my iPhone’s map. The blue dot, representing the Subaru, approached the entrance to our street, then shot past it. At first, I thought Jenn must be heading to a gas station, but when I noticed she passed a few of them, I called her iPhone. No answer. I watched her head yet farther north, and called again. No answer. Now she’s miles away from home, distance increasing by the second. The first seed of worry planted itself in my gut. Something’s wrong. Was she carjacked or something? No, that’s ridiculous, the dogs are in the car….or are they? The Saab is equipped with a 280 horsepower, turbo charged engine. It’s a beast; a silver beast that catapults you down the road when the turbo kicks in, yet will navigate turns like it’s on rails. My wife’s 2010 Subaru Outback, on the other hand, mustered only 170 horsepower. As a seasoned driver of both cars, I knew that the all-wheel drive systems were comparable, thus I was confident that the Saab would not only catch up to, but be able to overtake, the Subaru, if necessary. So I jumped in the Saab, placed my iPhone in its mount, and took off. Once on the secondary road, when it was safe to do so, I brought the turbo into play until I saw the two dots on my iPhone (my car and my wife’s car) begin to inch closer together. Every time I’d pass a crossroad, I’d fear blue lights would appear behind me, forcing me to pull over. Valuable time would be lost. So I’d reign in the Saab when nearing intersections, then give it her head on the open road. Finally, on a deserted stretch of winding black asphalt, I saw the two dots on the mapping screen overlap. Wait a moment. How can this be? There are no other cars on the road! But I looked to my right, at a small, dark side road. What the hell? There was our Subaru, it’s black hulk parked oddly by side of the road. 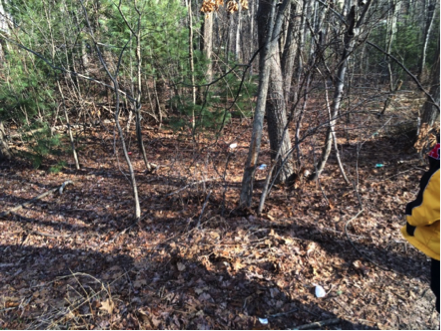 There weren’t any sidewalks, and the two left wheels were on the edge of a wooded gully; the entire car listing to the left like a boat taking on water. I pulled over, ran to the car, and found my dogs in the backseat, still belted in. The driver’s door was wide open, but no sign of Jenn. I called her name in every direction. Nothing. Okay, time to call 911. I told the dispatcher what had transpired: abandoned car, wife missing, etc. I hung up and examined the ground by the driver’s door, where I found one of Jenn’s gloves, and her right boot’s heel mark, facing away from the car. Footprints! If I find others nearby, then maybe I can ascertain if someone forced Jenn from the car! Unfortunately, the leaves, twigs, and sticks, that protruded through the snow, negated that idea. Damn it. Oh well, at least I had a direction to follow, so I engaged my iPhone’s flashlight and started into the dark gully. This is the part that still gives me shivers. It wasn’t a dead dear on the ground; it was my wife. She was laying on the ground spread-eagled on her back, eyes wide open, unblinking, like the lifeless, painted orbs of a dime-store mannequin. Her mouth hung slack, like a stunned boxer’s after taking a jarring hit to the jaw. Her mouth’s position, combined with her opened eyes, resulted in a look of horrific surprise, as if her last thought was ‘What is happening to me?’. 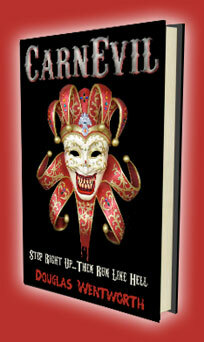 I thought she was dead, strangled, then flung aside by the carjacker conjured by my imagination. I watch many police dramas and procedurals. Heck, the very first script I ever wrote and sold was for Peter Falk’s Columbo detective series. And my books are ‘who done it?’ thrillers. Yet, instead of thinking this may be a crime scene, and trying to protect any evidence, instinct took over (I didn’t take any pictures to document the scene until later). I ran forward, dropped to my knees, checked Jenn’s neck and coat for blood, then reached under and lifted her torso; her face now inches from mine. I will never forget those unblinking eyes, staring right at me yet not seeing me. 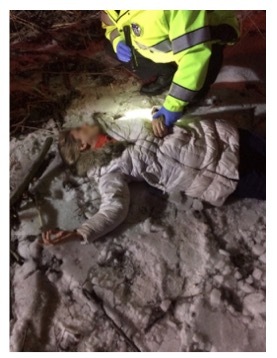 How long had she been laying in the snow? I gently placed her back down and called the police again. This time, instead of a cruiser, I needed an ambulance. The dispatcher asked if she was alive. I told them I did not know. Okay, he said. Sit tight. Help will be there soon. I hung up the phone, my heart gripped with horror. Jesus Christ, just a an hour ago, I had been at home, working out, casually waiting for my wife and dogs to arrive, now I’m here in some woods holding my wife’s body? What the hell? My fingers were cold…and that gave me an idea. They would feel warmth! I touched Jenn’s cheeks and neck. Yes, some parts of her skin were still warm. Was she suffering some kind of catatonic seizure? Then check what you can, damn you! Put your finger in her mouth! Check the tongue, did it fall back? When my finger slid past her teeth, she gently gnawed it, like a baby with a pacifier. She’s alive! But not responsive. Where the hell is that ambulance? Suddenly, I heard the faint sound of sirens, and soon the trees came alive in a kaleidoscope of red and blue lights. I ran towards the main road, hurdled the guard-rail, and waved down the approaching, fire, police and rescue trucks. The first responders navigated their way down the gully. The next few minutes are a blur. Scissors cutting off Jenn’s coat, EMTs working on her methodically. They had to consider all scenarios; maybe the Subaru had hit something, broken my wife’s neck, causing her to eventually collapse when exiting the car. They took precaution placing her on the stretcher, traversing it up the gully, over the guard-rail, and into the ambulance. It seemed like an eternity but the ambulance finally sped off towards the hospital. The police handed me Jenn’s coat, cut to shreds. Her iPhone had been in a pocket. I distinctly remember holding the iPhone tightly and whispering a prayer of thanks. Without the iPhone’s tracking capability, God knows how long Jenn would’ve been laying in that snow before somebody found her. A day? A week? I hate to think about it. I had two cars at the scene, two dogs that were scared and cold, and only one of me to drive both cars home. One officer, realizing that I wanted to get to the hospital as quickly as possible, kindly offered to follow me home, and then drive me back. We looked over the Subaru carefully, making sure nothing had gone wrong mechanically when it went off the road. The left side tires were on shifting dirt, covered in snow, but it backed out easily, and I headed home. Once I was able to scurry the dogs into the house, I placed food and water down, packed a bag for Jenn, and ran out. The waiting officer took me back to my Saab. I thanked him, started my car, and set course for the hospital. I called ahead, and was told that they had to intubate Jenn, as she wasn’t getting enough oxygen. Wait a minute, I said, are you talking brain damage or something? We don’t know yet. All right, I’ll be there as soon. I hung up with a feeling of dread, and prayed that the vivacious person I knew and loved, would pull through unscathed. My heart broke for what the future may hold for her. I called Jenn’s brothers; they would meet me at the hospital. When we arrived, Jenn was still unresponsive and intubated. After numerous tests that ruled out physical trauma, it was determined that it must’ve been a type of catatonic seizure. Over the next few hours, Jenn’s eyes would seem to focus on us; but we weren’t sure if she had suffered from lack of oxygen. She didn’t respond when I asked her to squeeze my hand, but over time she did and started to slowly come out of the trance-like stupor. Eventually, she was able to talk and, since we all thought it best to transfer her to a hospital with round-the-clock neurological staff, they prepped her for the move to a major Boston hospital. Her family followed her there while I ran home to check on the dogs. When she arrived at the medical center, a doctor called me, said she was looking better and that I should stay home and get some sleep, and If I didn’t hear from him, that would be good news. Early the next morning, my iPhone rang, rousing me from a troubled sleep. It was Jenn, calling from her iPhone that I had left in her possession. The doctors ran tests that came back negative and she was being discharged…could I come pick her up? I started the Saab a few minutes later, placed the iPhone in its mount and asked Siri to display the fastest route. And there was the little blue dot of my wife’s iPhone, but this time, instead of it kicking off a night of terror, the dot was at the end of the route, at the hospital, where Jenn was safe and sound. I backed out of the driveway, and glanced at the still dark sky. Dawn would be arriving soon, the prelude to what promised to be a beautiful day. Every night, as we lay innocently in our beds, deep in our nonsensical dreams, The Grim Reaper shuffles his Deck of Death, then deals each of us our cards for the coming day. How will our hand do against The Reaper’s? Will we win or lose? Live or die? On that cold evening in January of 2016, my wife had an ace up her sleeve, a trackable iPhone, and she played it for all it was worth. This gave her the equivalent of a royal straight flush, and she beat The Reaper at his own game. Frank D’Angeli’s first script, Columbo: Murder by Suicide, was purchased by Studios USA, at the bequest of star, Peter Falk. His second script, Columbo: Now You See Him, Now You Don’t, was awarded top honors in the American Accolades Movie of the Week Screenplay Competition. 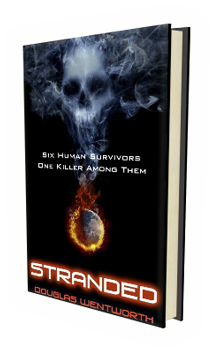 His debut novel, Stranded, (written under the pen name of Douglas Wentworth) won the 2012 Independent Publisher Book Awards-Gold Medal in sci-fi/fantasy and was picked up by Vast Entertainment. The associated screenplay (co-written by David Hogan) was optioned by a trio of producers. 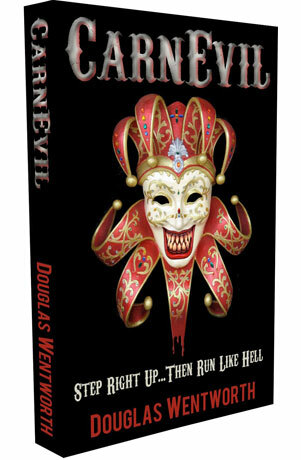 Mr. D’Angeli’s second book, CarnEvil, was the top rated horror novel in the 2014 BookPipeline Competition, and it was optioned by New England Capitol Pictures. 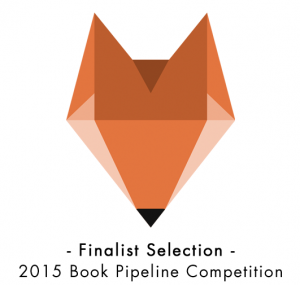 His short story, The Tower, was awarded top honors in the international Saugus.net Halloween Horror Story Competition.